David Moyes says it is "more than likely" he will wait until the end of the season before making a decision on his Everton future. Moyes is out of contract at the end of the campaign. He had said he would wait until February before making clear his plans. 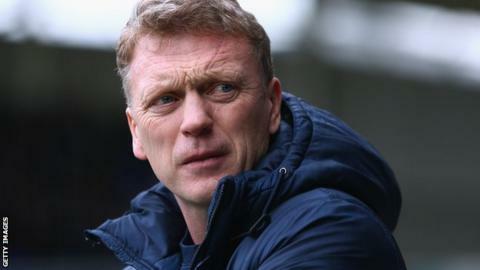 His lowest Premier League finish came in 2003-04 when Everton were 17th, although Moyes took them to fourth position the following year. Everton, who are sixth in the table, have finished in the top eight in each of the last six seasons. "I want to see how we do in the cups, I want to see how we do in the league, and it's more than likely I won't make a decision until the end of the season," said Moyes on Friday. "I'll give as much as I can, but I've said - and I've spoken with the chairman - that I want to see how the team does." Moyes, who celebrates his 50th birthday in April, has been in charge at Goodison Park for almost 11 years having taken charge of the Toffees in March 2002. Since finishing fourth in 2004-05, Everton have secured seven top-eight finishes in the last eight seasons. They are currently sixth in the table, six points behind fourth-placed Tottenham with 12 games to play.